John was hiding out in Finland! Wohoo. Though the bad thing is that I am very aware that the narrator did not pronounce the city he was in or the name of his friend correctly. He said it more like it was written, which is wrong. See, those thing I would not have know if John had not been in Finland! Then there is Brittany that we heard about in book 1. She has been writing articles about missing seals and she is a bloodhound. In a good way. She wants to find out what happened to her brother. There is also danger since someone do not like her articles. And of course the Seals want to keep on hiding. And I must not forget. Another couple got a lot of time in the spotlight, and yes it was a bit strange. Cold and Kate are trying to find out what happened too and they too have a history. Their story is not over in this book so I guess it will spill over into the next one. I did like them but dang that man has issues. A team of Navy SEALs go on a mission and disappear without a trace-they are The Lost Platoon. Investigative reporter Brittany Blake may have stumbled upon the story of a lifetime in her search for her missing brother. When he seemingly disappears overnight, she refuses to accept the Navy's less-than-satisfying explanation. She begins her own investigation, which leads her to top-secret SEAL teams, covert ops, and a possible cover up . . . John Donovan is having trouble biding his time, waiting for his Commanding Officer to figure out who set up their platoon. John's best friend and BUD/S partner, Brandon Blake, was one of the many lives tragically lost in the attack against his team. 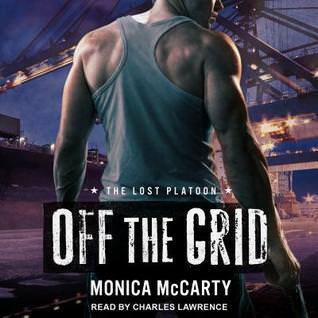 When Brandon's sister, Brittany, tracks John down, looking for answers, he realizes that she may be their best bet-or bait-for finding out who is targeting SEAL Team Nine. Contains mature themes. I got off to a bad start with the first books, but maybe I'll give book two a try in audio. Glad this narrator was better! !